The 25-year old man accused of brutally murdering his estranged 19-yearold wife in a Christmas Eve slaying described by law enforcement professionals as the county’s most heinous crime in 2010, is close to reaching a plea deal in the case. A s… Please login below or purchase a subscription to the Putnam County Courier to access this content. Three residents of Putnam County were among 37 reputed members of an Albanian-American organized crime ring that trafficked illegal narcotics throughout North America and Europe. The U.S. Drug Enforcement Administration arrested the alleged gang mem… Please login below or purchase a subscription to the Putnam County Courier to access this content. A Mahopac man accused of leaving the scene of a personal injury crash in Mohegan Lake more than three years ago has finally been captured. Yorktown Police charged Darwin Palomeque, 26, last week with leaving the scene of a personal injury crash and … Please login below or purchase a subscription to the Putnam County Courier to access this content. The Defensive Driving Insurance Reduction Program is a six-hour course consisting of a series of films and discussions about driving attitudes and behaviors. The Mahopac Public Library will offer an evening Defensive Driving Class on Tuesday, August… Please login below or purchase a subscription to the Putnam County Courier to access this content. Climb Every Mountain to See This Show: The Sound of Music is Brewster Theater Company’s third summer musical in its delectable 11-year history. See the show at The Brewster Performing Arts Center at Brewster HS on August 4, 5 & 6, 2011 at … Please login below or purchase a subscription to the Putnam County Courier to access this content. Artist Elizabeth Castellano will have paintings on exhibit in the Third Floor Gallery at Mahopac Public Library from August 2nd through August 30. The title of the exhibition, In Retrospect, represents a body of work that spans over the last ten yea… Please login below or purchase a subscription to the Putnam County Courier to access this content. Sheriff Don Smith meets with members of the Brewster Board of Education last week. A police presence will continue outside the Garden Street School in Brewster this fall. 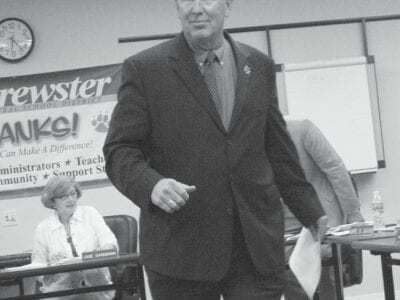 The elementary school located within Brewster village limits made headlines sev… Please login below or purchase a subscription to the Putnam County Courier to access this content. 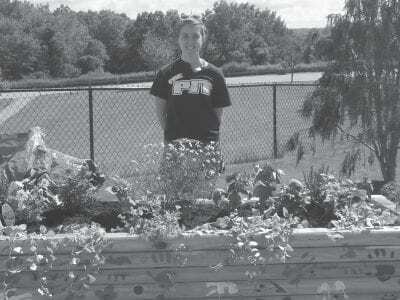 Brewster Girl Scout Nora McGoldrick, shown left, stands near her wheelchair-accessible garden Putnam Ridge Nursing Home. Nora McGoldrick, a Girl Scout in Brewster Troop 1492 recently completed her Girl Scout Gold Award by constructing a wheel chair a… Please login below or purchase a subscription to the Putnam County Courier to access this content. A Brewster man described by authorities as a native of Turkey is facing federal charges in connection with the removal of asbestos. Cihan Zorluoglu, 32, was arrested by the Justice Department last Thursday in connection with what Richard Hartunian, … Please login below or purchase a subscription to the Putnam County Courier to access this content.